All funds raised will go to Onur Kocatas, the organizer for more Merhaba videos on the map. "I was in Turkey" is my personal project to show my love for Turkey, Turkish people and culture. T-shirt logo is designed by Nicholas Huseyin Kocatas. I bought this T shirt to support your project. I hope this project provides more people explore Turkey. Btw; thanks Nicholas ; it is really good design. I loved visiting Turkey and seeing where my family originated, as well as the historical sights. I enjoyed the hospitality and warmth of the people, the beautiful sea and fabulous cuisine. I was in Turkey! Great Country! Great People! 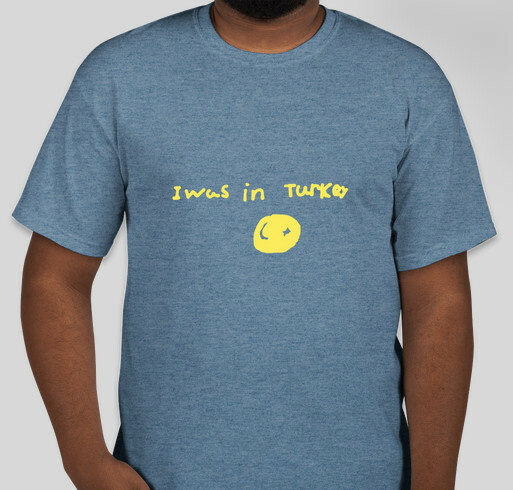 Share Why You Support "I was in Turkey"